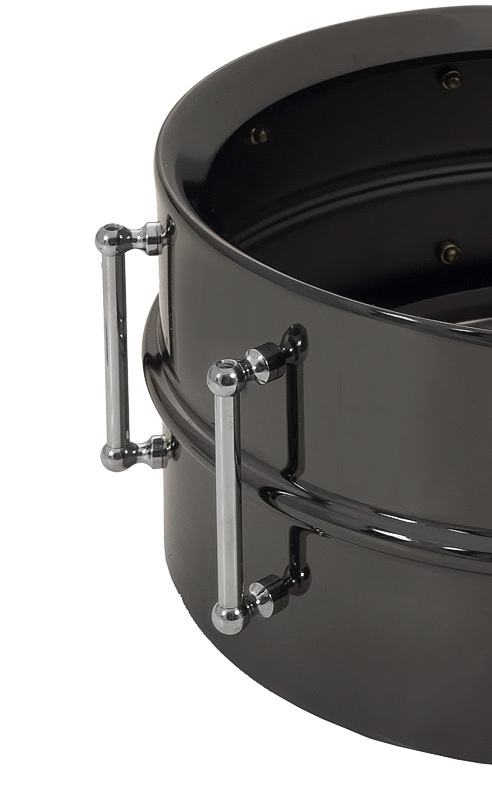 The JNDC Deluxe model is inspired by the vintage snare drums of the 1920’s and 1930’s, which were adorned in a deep lustrous black nickel-plated finish and sealed in clear lacquer. 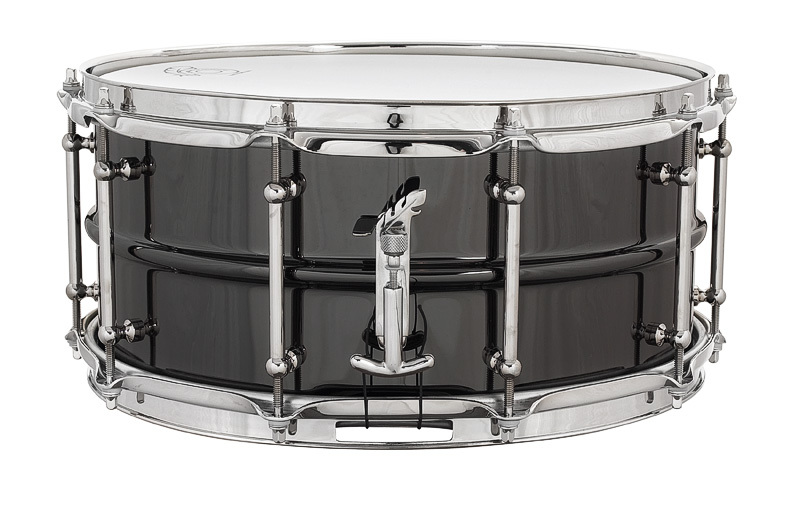 Hand-selected for their increased mass and density, the Deluxe seamless brass or bronze shells are extremely musical and “bell-like” in their tonal quality, yet very articulate and focused in their responsiveness. The brass shells will tend to be more colorful in their high-end register and harmonic series, resulting in extraordinary vibrancy. 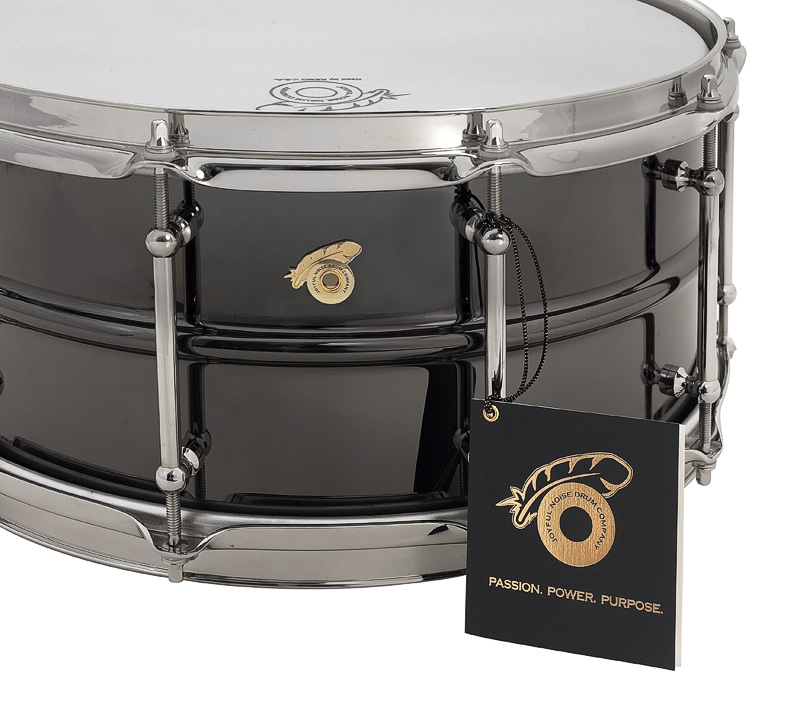 The bronze shells will exhibit powerful mid-range and low-end frequencies, translating into increased focus and presence. 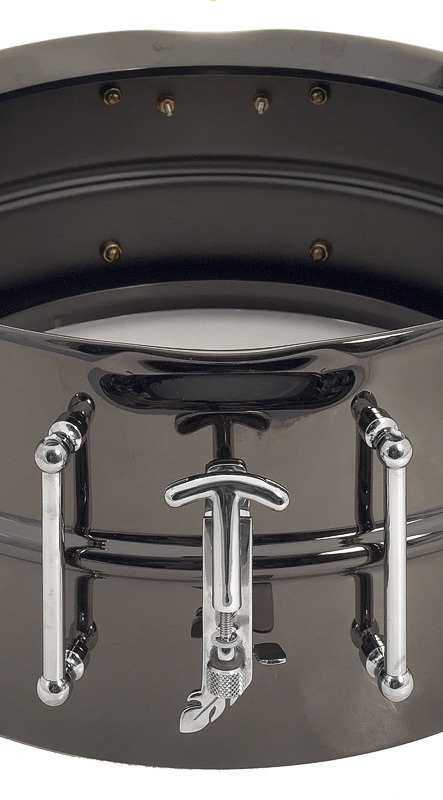 The Deluxe model design and hardware consist of 2.5mm solid brass bright nickel-plated triple flanged hoops, ten solid brass bright nickel-plated Corder tube lugs, bell-flanged bearing edges, vintage-inspired crimped snare beds, 24k gold-plated brass JNDC feather motif drum badge, and the bright nickel-plated proprietary cast bronze JNDC “One Touch Classic” snare drum strainer (throw-off) system. A certificate of authenticity, serialized lapel badge, JNDC Strainer Tutorial DVD, and a complimentary embroidered soft shell case accompany each instrument. 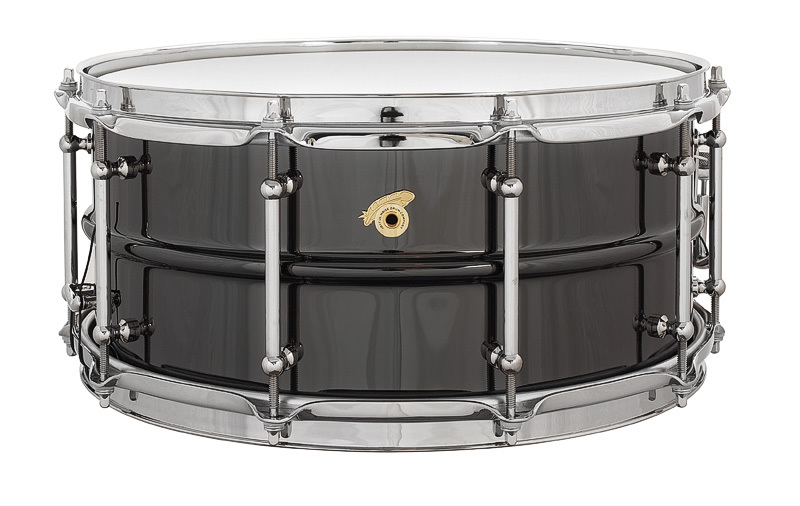 The JNDC Deluxe is available in 6.5x14, 5x14, and 4x14 sizes.